Yellowbrick has learned Anscombe’s lesson—which is why we believe that visual diagnostics are vital to machine learning. Plots Anscombe’s Quartet as an illustration of the importance of visualization. 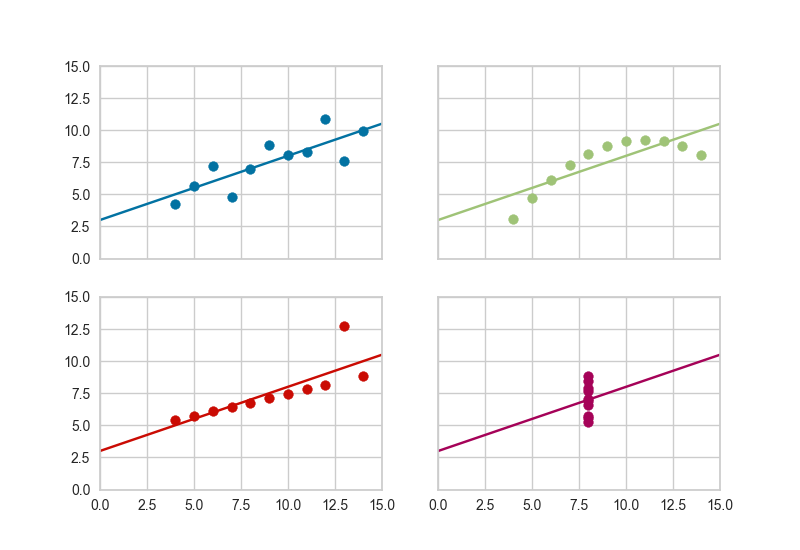 Creates 2x2 grid plot of the 4 anscombe datasets for illustration.